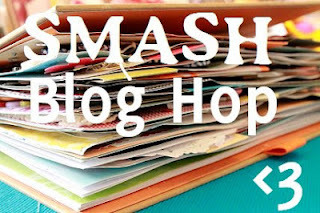 Welcome to the third official Blog Hop that I have been involved in. I'm so happy to be linked to these amazing women that I so adore. We so rock pages and ozzze inspiration for everyone that's into smash pages. I love your pages and I just love how the digis are colored! Awesome! I love going through and seeing all of this inspiration. It could be just the thing to get me unstuck as I have been just that for several weeks now. It is rather frustrating. Thank you for the Smashing push to get smashing again! I love the Digis! 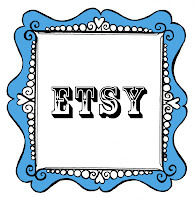 They look awesome on your pages! Thanks for sharing!!!!! As always Angie, absolutely love your pages!! 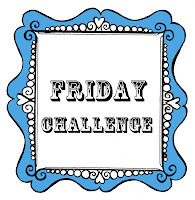 Thanks for sharing and the chance to win some of your amazing digis!! Looooooooooove your supercool smash pages! Angie! 2 pages! Wow how awesome!! Did I tell you I bought copic markers this weekend??? Might be trying something new!! wow, you really are on a SMASH*ing roll! these pages are awesome as are your digis! 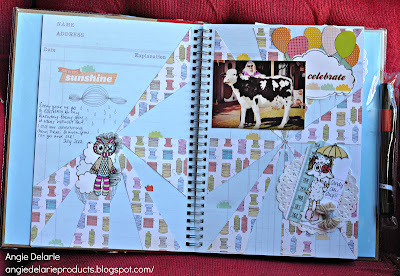 Sunshine Pleasure is my favourite - I love the pinwheel effect and the fun cow photo!! Love your pages and your digis! You guys are way too kind! I know I fitted 3 pages in today..kinda on a roll. Just printed out some newbies so can't wait to share soon! Awesome pages, I love them!! 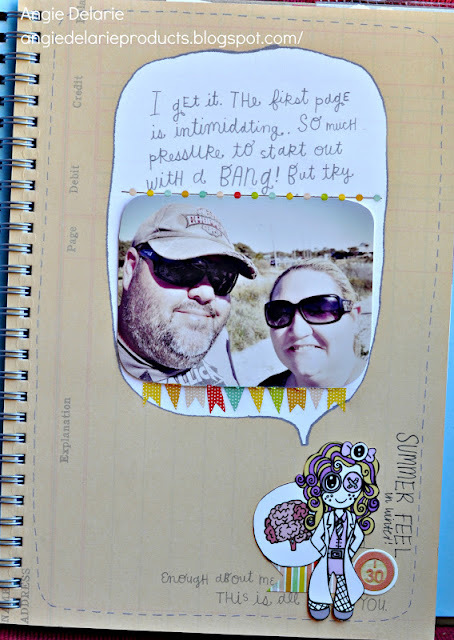 Love all your pages and how you used your digi's on them, so cute! Thanks for the chance to win! 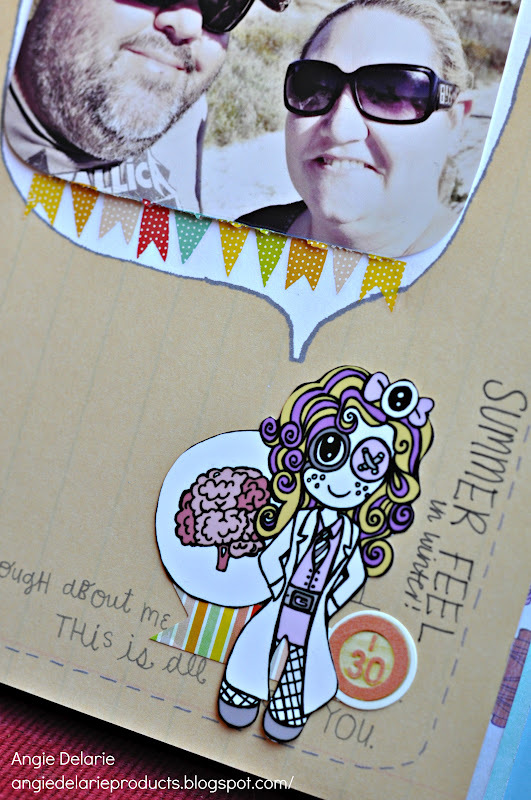 Your pages are so cute!! And your from WA (I'm from Albany! )Thanks for the inspiration! Love your pages and your digi's.... As always! Love the hop! Oh my gosh such great pages. And ive been on vacay too long i just saw all your new digis. How adorable. Thanks for the chance to win some angie. Your pages looks so great! I have never used digis in my Smash Book so I am going to have to look into getting some because I love the way they look. I love the idea of using my digital stamps on my smash (& scrapbook) pages, instead of just on my cards. thanks for being part of the blog hop and sharing with us!!! Soooo cool!!! Loved your pages Angie. 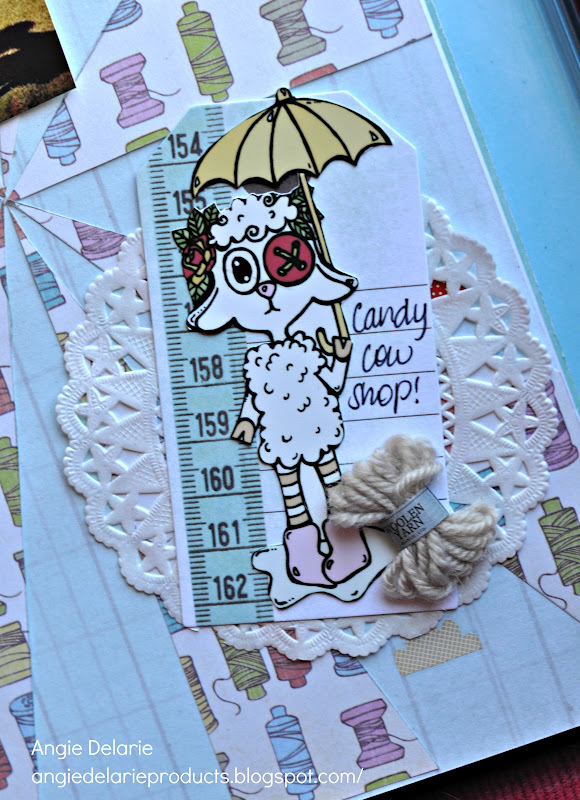 The bat and sheep are stinking cute ;-) Thanks for sharing and looking forward to our next blog hop! Wow oh wow Angie! I love everything here! You are doing some serious damage in that book of yours! LOVE IT!!! Cute pages but I particularly love how you covered up that "first page" blurb that was preprinted in that one book - the blue book maybe? Somehow, the way it came turned me off to buying the book. But now, I see that you've covered it so masterfully, I might have to go get one. Thanks for enabling me! LOL! First of all, wow, you shared a lot of pages!! And I enjoyed them all equally. There's so much inspiration I found here in 1 blog. And second of all, thanks so much for being so generous with the prize. Good luck to everyone. Love your pages!! Your digis are just so cute!! Absolutely love the colors in the Sunshine page! Fantastic. Thank you for sharing. wow! is't great how simple your pages are but look complete and awsome. What some great ideas for the doodle book! I have that one but I have been a little scared to do anything with it. It is so much fun!! Thanks for the ideas! Happy Smashing! Your pages are fantastic. I love the cute images you used. Wow, what fun images! 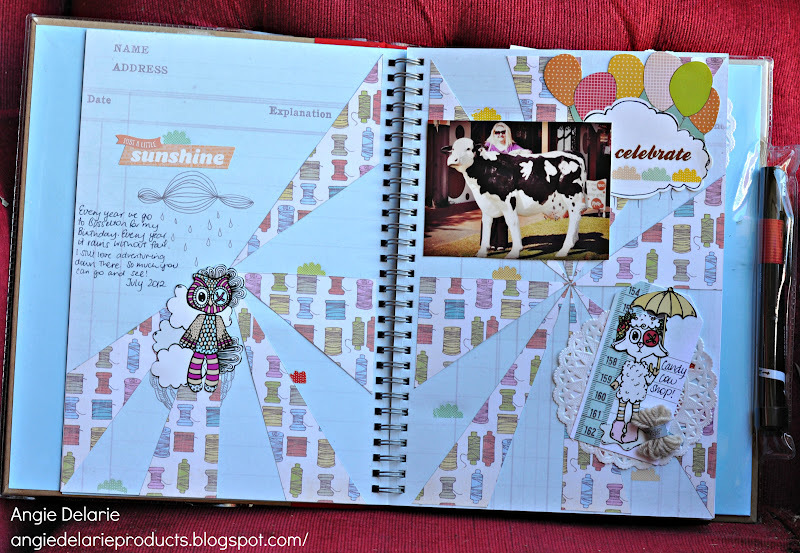 Darling pages and love the journaling you used. Fantastic layout on each page, too. Happy to be hopping and a new follower! I've never seen your digis before but I'm now in love!! Wow, so awesome!! Thanks for sharing!! Those digis are just so cute and I adore the little bat! Fabulous pages. I had been planning on selling my copics but this blog hop has inspired me to keep hold of them and put them into action again! I so love your style and the digi's. When i grow up i want to be as grand as you in digi's!!! Eeek! Could those pages be any cuter?! I love them!! Love your digis! 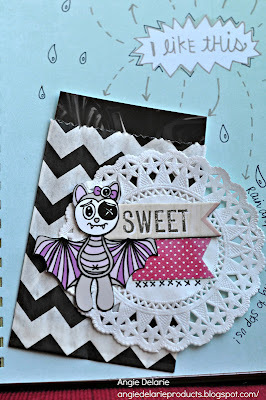 Your pages are always adorable! Awesome pages! Very creative - just love it! Also I really like the camera a few have used! Thank you for sharing you smash pages. I am a new follower! great job. thanks for opp. I love your stuff! I need to print of my digi from you and give it a try!! Whenever I look at your stuff, I think that I NEED to try digi's! OMG!!! I love you digis!! They are SWEET!! Thanks for sharing your creativity!!! Love your digi's, super cute!!! And I love your pages, great inspiration! I am happy to be a new follower! I love ur pages and digis! What fun images! Love how you incorporated them into your book! Go girl!! These pages are awesomeee!! I love the addition of your cute little images and your SMASH* style rocks!! Cool pages! I love how you used your digis all over the place! FAB! Wow, I especially love what you did with the paper on the last layout and the raindrops and little saying on the first one was cuuute too. And omg I looove all the digis you are giving away! Thanks for the chance to win! 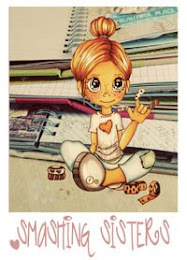 love your pages...the images are so cute! How cute are those Digis!!! HOW CUTE!! love the stamps. Love it. Cute work. This is great. 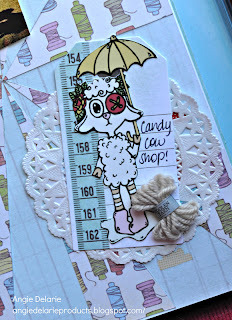 I just came upon this blog hop this morning. I am new to smash books and I'm thrilled to have found your blog. The pages you've created are super! Wow Angie!! These pages are fabulous!! I LOVE your style! !